Another 5:30 am wake up call and on a Saturday morning no less. 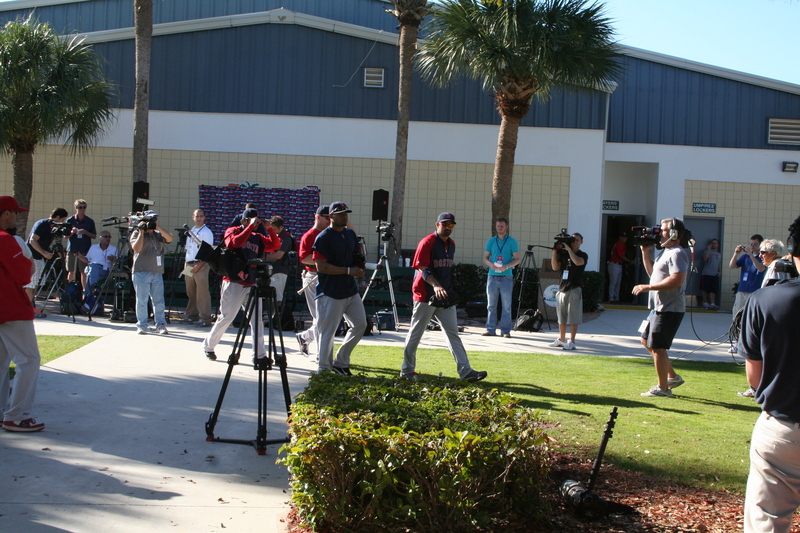 But it was a small price to pay to go watch the first official full-squad workout. Since it was a Saturday, I went with my dad, and we were on the road by 6. We left so early that there was still some fog on the sides of the alley, and we were able to watch the sun rise behind us and the moon fade in front of us. 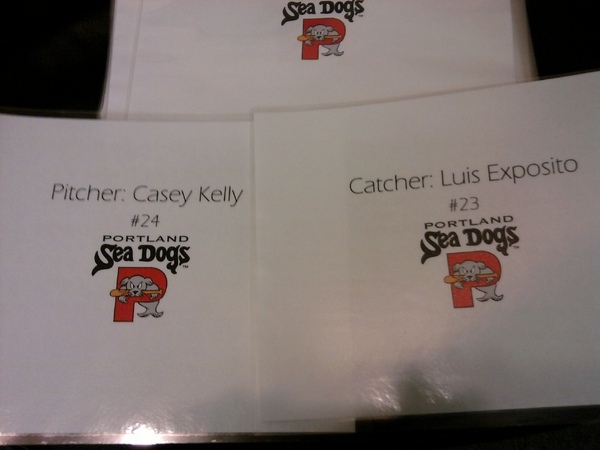 I had all of the essentials packed, which includes my big notebook which I have been using since my first Portland Sea Dogs game in 2009 against the Altoona Curve. 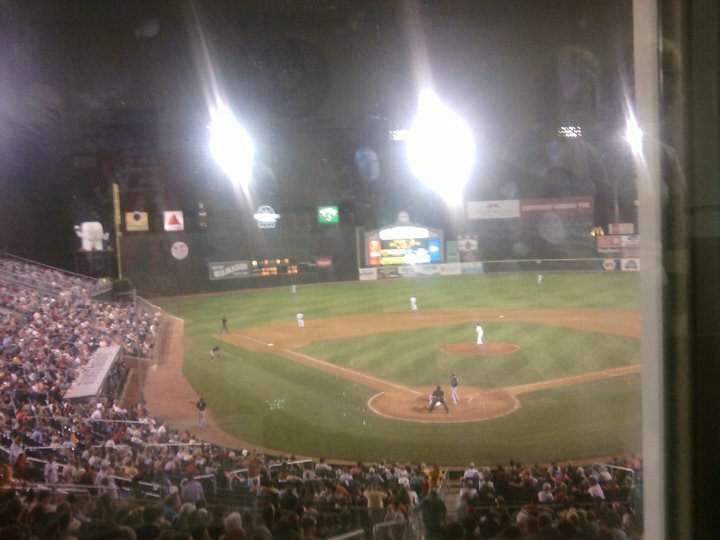 It was Daniel Nava’s Double-A debut, Luis Exposito DH’d, Adam Mills pitched, and Ryan Kalish had reached base in 18 straight games–not to mention the fact that he hit a two-run homer. Normally my notebook is full of all the papers I accumulated over the summer: scorecards, game notes, etc, but I had put that in a file so I wouldn’t get confused between those and my spring training papers. For the pitchers and catchers workout, I had made a spread sheet full of statistics for all of the minor league players that I intend on scouting this spring. I also had a document with their mugshots because I memorize statistics, not faces. 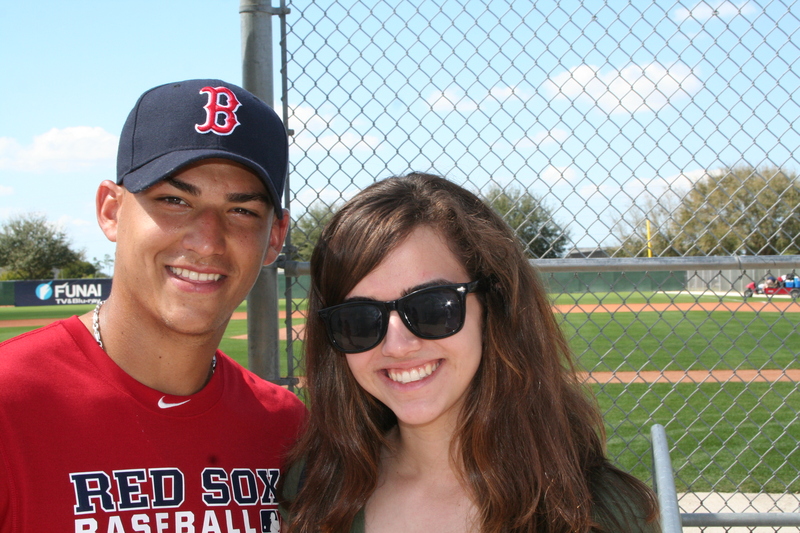 This time, I brought a list of players that the website “Sox Prospects” wants me to get pictures of. 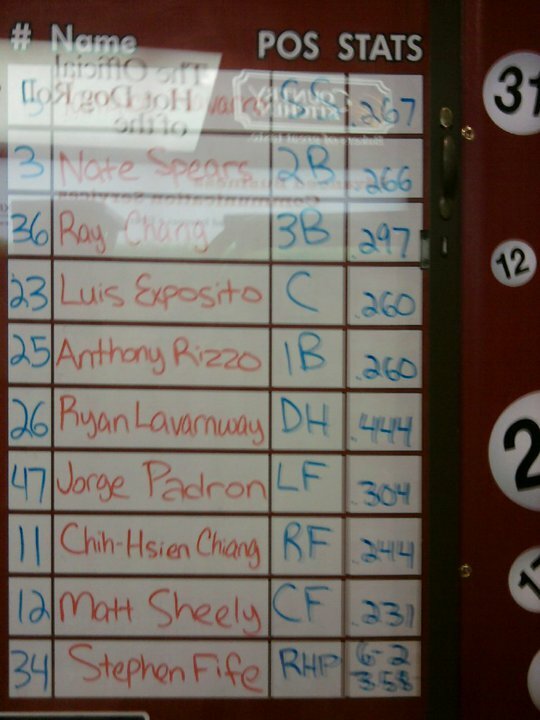 Hardly any of the minor league players on my list were present, but they will be by this time next week. 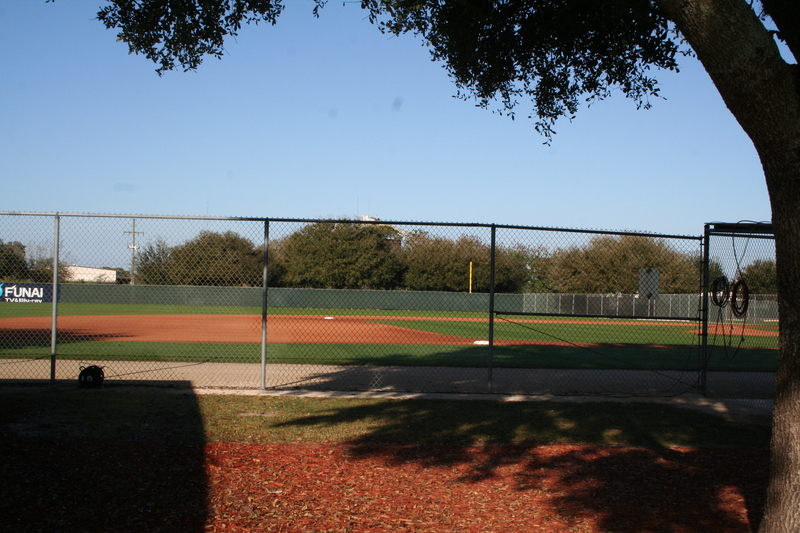 Initially, I had planned on attempting to kill two birds with one stone: I wanted to check out the minor league workout at the stadium, and then check out the normal one at the Player’s Development Complex. But when I asked the security guards if the minor league players were at the stadium, they did not seem to know what I was talking about. I further investigated this dilemma when I got home, and multiple twitter accounts have corroborated my theory that they had the weekend off. We arrived at the complex no later than 8:30, but I started to become suspicious around 9:15 when not even the catchers had emerged from the clubhouse. But it was nice to simply walk around the complex in the early morning and feel the wet grass between my toes. It smelled like baseball. Luis Tiant walked out to one of the fields about a half an hour before the players came out, and Jim Rice went up to the NESN booth with Peter Gammons & co. When the players finally did come out, I was on the wrong side of things. Not that it really mattered much, anyway, as only Lars Anderson stopped to sign on the way out. The catchers did pass where I was standing though. 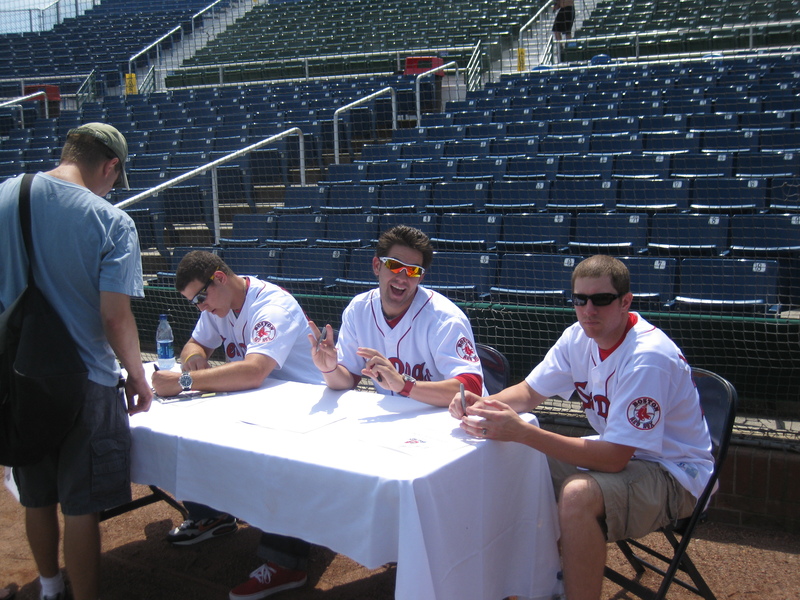 Again, it was not the best day for autographs and pictures with players because it was the first full squad workout and everyone was figuring out the rotation. While I certainly do enjoy getting pictures with the players, that’s not the reason why I go: I go because I find the drills fascinating. The players were split up by position, and it even seemed like the everyday players were kept together. 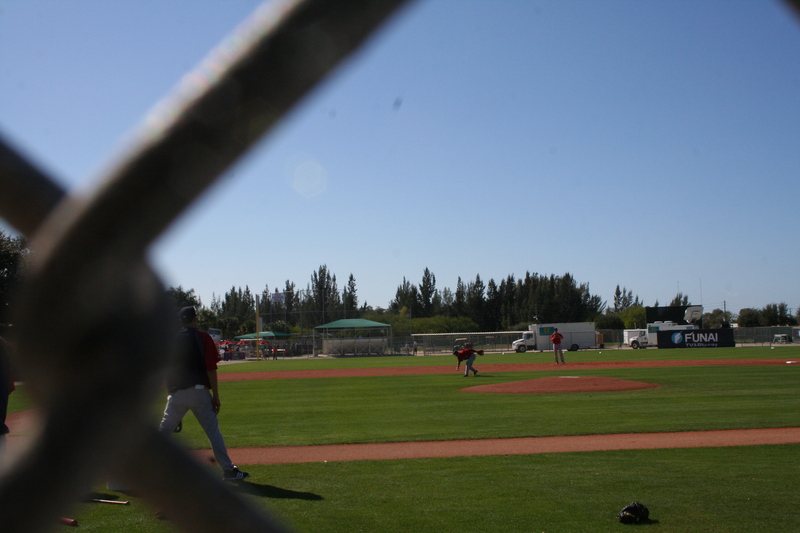 I mainly watched the pitching and infield drills. What fascinates me is that these are essentially the same drills that you do in little league, high school, and college. The level of difficulty my change, but the game itself always stays the same. I think that we take advantage of how good these players really are because they make everything look so easy: whether it is completing a 6-4-3 double play or something as simple as catching a fly ball, it’s not as easy as it seems. The infield drill that I enjoyed the most was the slow roller one. Lars Anderson was at first base, and Jose Iglesias, Yamaico Navarro, and Nate Spears had to charge the ball and get it over to first. Then I watched batting practice for a while. 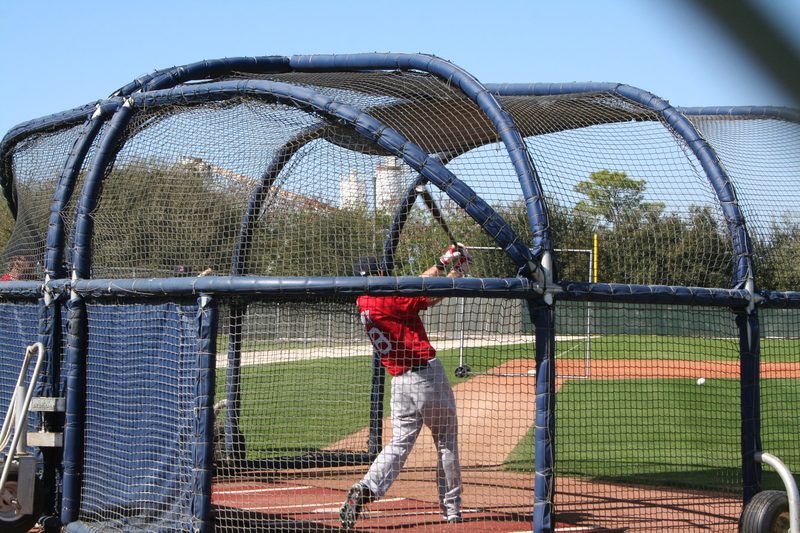 I completely ignored the regulars like Dustin Pedroia and Adrian Gonzalez taking batting practice and instead focused on Josh Reddick, Daniel Nava, Lars Anderson, Yamaico Navarro, and Jose Iglesias taking batting practice. At one point I was between two fields, hoping to catch players between them, and I said hello to Darnell McDonald as he walked by. 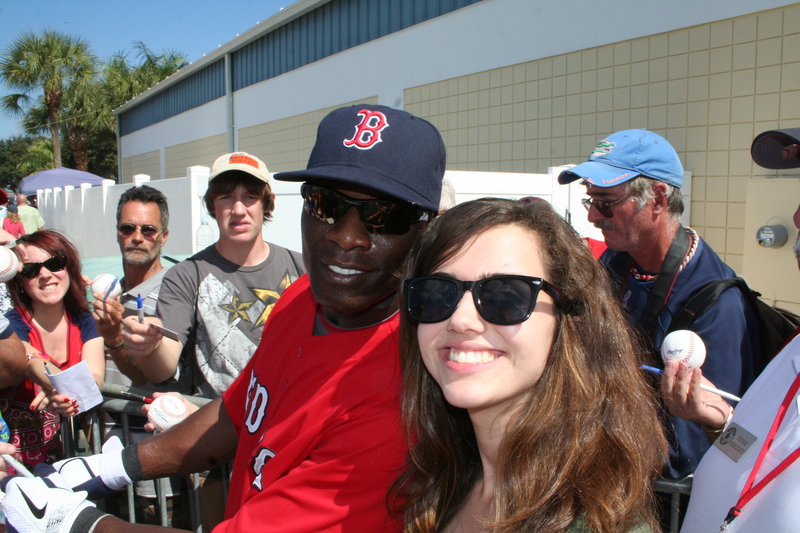 I was completely shocked that he remembered me from Tampa. It was a quick “Oh yeah, I remember you,” but it was still a cool moment. I anticipated the players going back in around 12, so I intended on getting a spot around 11:30. Little did I know that the players were going in around 11:30 instead, so I ended up in a pretty poor spot. After a while, a cleanly-shaven Kevin Youkilis came over and signed for nearly everybody down the line, and I was nearly smushed on my way out. 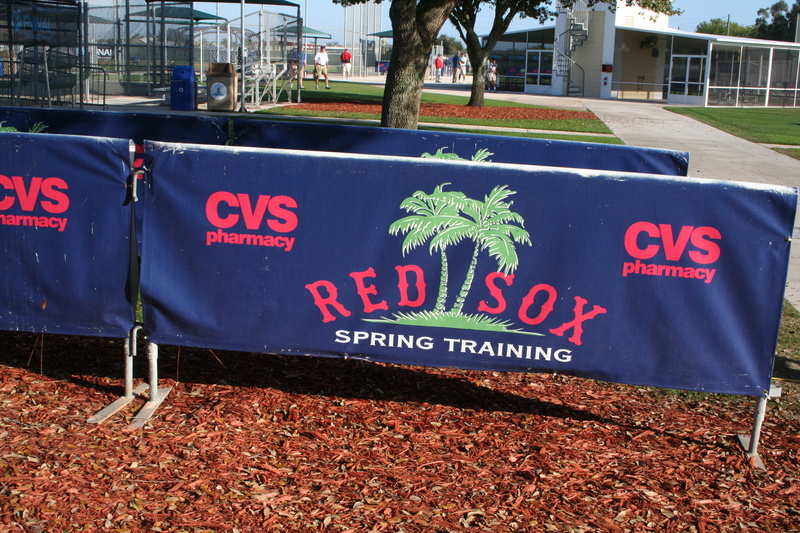 I was on my way out of the complex when I noticed Jose Iglesias getting his stuff together. A few people were going over for autographs, but by no means was it a mob-scene, so I decided to go over and ask for a picture. There was, however, a rather large mob of people on my way out, and Mike Cameron was signing autographs for everyone. It was kind of a weird angle for a picture, but he quickly posed for one nonetheless. s at the workouts is kind of random, and it has a lot to do with luck. I was able to gauge, however, where they go between drills, so I will do my best to position myself wisely when I go up again tomorrow (Monday). It’s an open house tomorrow, so regardless of whether or not I get anything done at the complex, there will definitely be autograph opportunities (which I will turn into photo opportunities). There are activities all day on the field for little kids, and let’s get real: we all know that the slime making booth at first base is the real reason why I’m going. I did have my very expired press pass with me on Saturday, but I did not put it to any use. I had intended to try and attend a press conference at the end, but they all seemed to be held at the beginning. Plus the security guards remembered me despite my attempted disguise of straight hair. Honestly, I should just try some these-are-not-the-droids-you’re-looking-for Jedi mind tricks, and see how far I can get. More stories to come from the Fort tomorrow!